Two Thai BTS fan clubs, also known as ARMY -- BTS Thailand and CandyClover -- initiated a blood donation project in May and attained 200,000 cc of blood, which can help save around 1,500 lives, to celebrate BTS on Wednesday. 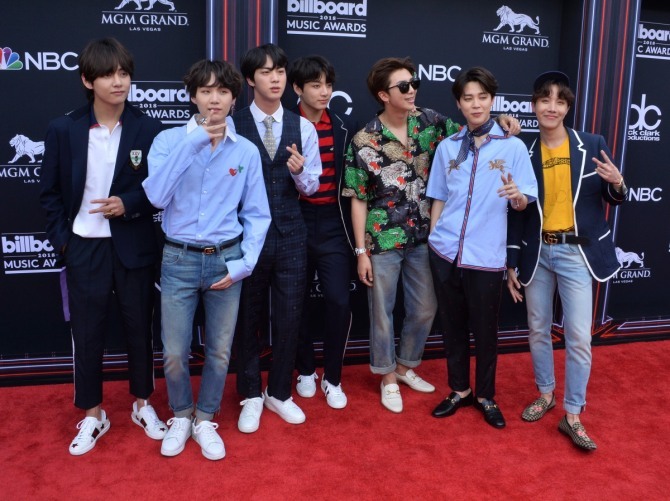 “We were inspired by BTS to deliver love to others through their ‘Love Myself’ campaign that BTS and United Nations Children’s Fund initiated,” the fan clubs said. The Thai fans also displayed a one-minute advertisement on a large electric billboard in Siam Square One at the center of Bangkok which featured BTS and the story of Thai ARMY’s blood donation. “Just like BTS delivers love through their songs, we will try our best to deliver love to others,” said the fan clubs. The fan clubs also intends to donate more funds to the “Love Myself” campaign after finishing the blood donation project. BTS held a fan meeting called “Prom Party ? Re;view & Pre-view” at Blue Square i-Market Hall in Yongsan-gu, Seoul, for their fifth generation ARMY members on Wednesday.